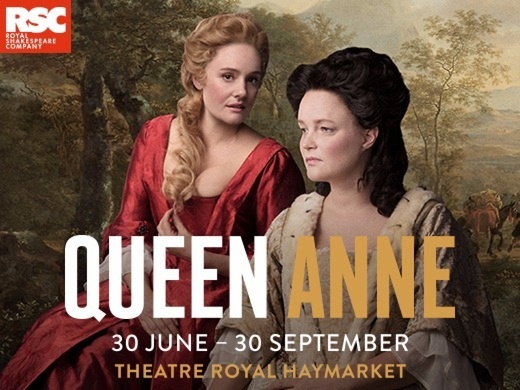 Helen Edmundson’s dramatization of the reign of Queen Anne was absorbing. The perils of historical drama and novels are known. The need to convey context can lead to preachy speeches by characters early in the action. Queen Anne was not entirely free of such moments but they were few. Instead Edmundson opted to pivot the action on the relationship between two women: the unassertive Anne who learns to impose her will and the glamorous and clever Sarah (Duchess of Marlborough) whose judgement is not equal to her wits. This is historical travesty for the whole period trembled on the brink of dynastic and revolutionary change. Anne’s grandfather was publicly executed in 1649; she and her sister had colluded to depose their father from the throne and seize it; the threat of being toppled by the rightful (and Catholic) dynasty was constant. But the Anne-Sarah relationship is a marvellous way to navigate the labyrinth of early 18th century politics. Emma Cunliffe and Romola Garai compel as the principals with the men – Marlborough, Godolphin , Harley and the rest – reduced to secondary characters preoccupied with their wars, finance and politics. Natalie Abrahami directs a feminist’s revenge that displays capable women railing against their fate as childbearers and wielders of influence instead of power. Caryl Churchill’s 1976 play was part of the great rediscovery of the English Revolution. Nearly a century ago Edouard Bernstein thought it worthy of wider understanding among German socialists. From the 1930s historians like David Petegorsky, Christopher Hill and Rodney Hilton unearthed the deeds and words of the common people who had ‘turned the world upside down’. Their wartime generation faced a supreme crisis in 1940 and found inspiration from a forgotten English tradition. The post-war generation revived interest in the Levellers, Diggers and others who had struggled to find a democratic and egalitarian way ahead in 1649. Appropriately, a great outburst of pamphlets and events greeted the 350th anniversary of the last stand of the Levellers at Burford and the Putney Debates (convened by the Parliamentary Army Heads after Charles Stuart’s final defeat). BBC Radio 3 broadcast the Debates in 2008, Light Shining was revived by the Arcola Theatre in 2010, 2012 brought to the Hampstead Theatre Howard Brenton’s 55 Days brilliantly juxtaposing Oliver Cromwell’s revolutionary will and Charles’s fatuous arrogance. In 2015 the Levellers’ Association celebrated the 400th birthday of the Leveller John Lilburne. Burford’s Levellers’ Day is alive and well, right in David Cameron’s back yard. Churchill’s play begins with the common people, then turns epic, as Cromwell presides over a generous exposition of key moments in the Putney Debates which occupied several days in late 1648. She boldly uses the protagonists’ own words which in their dramatic impact surpass the words of any playwright. Cromwell’s great foresight in calling for minutes preserved them, notably Colonel Rainsborough’s famous outburst ‘…the poorest he that is in England has a life to live, as the greatest he’. Taken with records of Charles Stuart at his trial and execution a few weeks later we have contemporary expressions from both sides in the first modern revolution. The second half belongs to the common people. We see Gerrard Winstanley and the Diggers setting up utopian communes. Their settlement at St. George’s Hill, Surrey was a political fact. Here the dramatist reaches beyond the records for her characters are mostly fictitious. 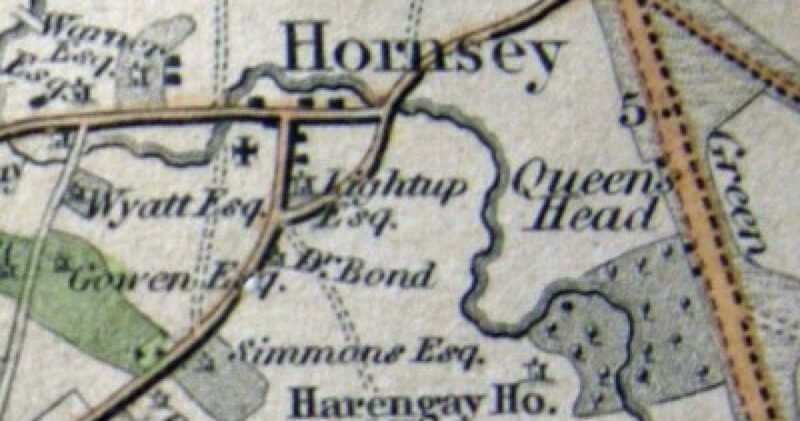 At Putney, Rainsborough, Edward Sexby (an Army Agitator, or shop steward) and others had called unavailingly for male suffrage. By showing the propertied class crushing the Diggers, Churchill skilfully illustrates that without it there can only be economic continuity. Sadly, we know more of the deeds of these people than we do of their words. In imagining them, Churchill avoids the kind of mistake Shaw would have made, remembering that this is 1648-9. Characters may be creating the modern world but they inhabit a universe bounded by Christian thought. Might a heavenly king might be defeated and deposed like an earthly one? They could not say so. Instead, the Revolution unleashed Millenarianism – anticipation of the Second Coming. 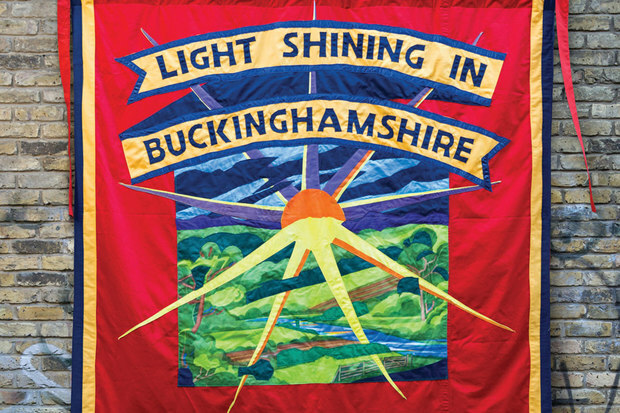 As illustrated in Ben Wheatley’s recent film A Field in England (2012), the Left Wing of the Revolution looks superstitiously backwards as well as radically forwards. Churchill (like Geoffrey Robertson and John Rees in the excellent programme notes) reminds us that even the most radical wing of the revolution did not advocate women’s emancipation. Early on we meet a woman preacher who inspires fear among the common people; later an imagined female character challenges the Diggers’ male-centric universe in words and behaviour. Churchill is also one of many playwrights depicting a stage Cromwell. This complex man is shown attending to the debates with the utmost seriousness, as indeed he did. He was the English Robespierre, recently voted the greatest Englishman. He is a year away from a brutal Irish campaign. We know that he will bloodily crush the Levellers within six months, yet here – surely accurately – we see a revolutionary leader, capable of the boldest deeds yet consulting widely (in his view seeking the Will of Providence) when unsure of the way. 55 Days (another play that hopefully will also be periodically revived) brilliantly explored the paradox of revolution: you have to do the unthinkable to show the future what is possible. In May 2015, after an election chucked away by timidity and lack of vision Churchill’s play reminds us that England too can be radical and that history turns the page on even the blackest defeats.